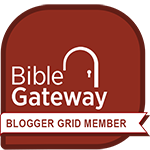 For more information about the topic of Sound Speech, please refer to the posts on the www.ScriptureWay.com website. Under the Home page, look for the category, "Sound Speech." The first lesson is "Biblical Principles of Sound Speech – Be a Good Example" (Ref. 2). 1 Timothy 4:12 - "Let no one look down on your youthfulness, but rather in speech, conduct, love, faith and purity, show yourself an example of those who believe." 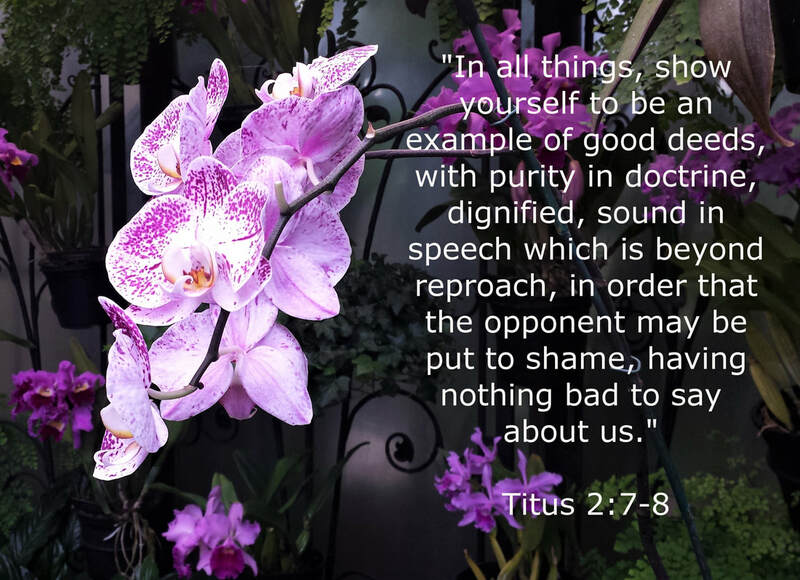 Titus 2:7-8 - "In all things show yourself to be an example of good deeds, with purity in doctrine, dignified, sound in speech which is beyond reproach, so that the opponent will be put to shame, having nothing bad to say about us." 1 Peter 2:12 - "Keep your behavior excellent among the Gentiles, so that in the thing in which they slander you as evildoers, they may because of your good deeds, as they observe them, glorify God in the day of visitation." Ephesians 4:29 - "Let no unwholesome word proceed from your mouth, but only such a word as is good for edification according to the need of the moment, so that it will give grace to those who hear." Proverbs 25:11 - "Like apples of gold in settings of silver is a word spoken in right circumstances." Colossians 4:6 - "Let your speech always be with grace, as though seasoned with salt, so that you will know how you should respond to each person." Titus 2:8 - "Sound in speech which is beyond reproach, so that the opponent will be put to shame, having nothing bad to say about us." 2 Timothy 1:13 - "Retain the standard of sound words which you have heard from me, in the faith and love which are in Christ Jesus." Psalm 15:1-2 - "O Lord, who may abide in Your tent? Who may dwell on Your holy hill? He who walks with integrity, and works righteousness, and speaks truth in his heart." Zechariah 8:16 - "These are the things which you should do: speak the truth to one another; judge with truth and judgment for peace in your gates." ​Psalm 34:1 - "I will bless the Lord at all times; His praise shall continually be in my mouth. Hebrews 13:15 - "Through Him then, let us continually offer up a sacrifice of praise to God, that is, the fruit of lips that give thanks to His name." 1 Thessalonians 5:18 - "In everything give thanks; for this is God’s will for you in Christ Jesus." Ephesians 5:20 - "Always giving thanks for all things in the name of our Lord Jesus Christ to God, even the Father." Proverbs 15:1 - "A gentle answer turns away wrath, but a harsh word stirs up anger." James 3:17 - "But the wisdom from above is first pure, then peaceable, gentle, reasonable, full of mercy and good fruits, unwavering, without hypocrisy." Proverbs 12:25 - "Anxiety in a man’s heart weighs it down, but a good word makes it glad." 2 Corinthians 1:3-4 - "Blessed be the God and Father of our Lord Jesus Christ, the Father of mercies and God of all comfort, who comforts us in all our affliction so that we will be able to comfort those who are in any affliction with the comfort with which we ourselves are comforted by God. Ephesians 4:32 - "Be kind to one another, tender-hearted, forgiving each other, just as God in Christ also has forgiven you." Ecclesiastes 5:2 - "Do not be hasty in word or impulsive in thought to bring up a matter in the presence of God. For God is in heaven and you are on the earth; therefore let your words be few." Philippians 4:8 - "Finally, brethren, whatever is true, whatever is honorable, whatever is right, whatever is pure, whatever is lovely, whatever is of good repute, if there is any excellence and if anything worthy of praise, dwell on these things." Luke 6:43-45 - "For there is no good tree which produces bad fruit, nor, on the other hand, a bad tree which produces good fruit. For each tree is known by its own fruit. For men do not gather figs from thorns, nor do they pick grapes from a briar bush. The good man out of the good treasure of his heart brings forth what is good; and the evil man out of the evil treasure brings forth what is evil; for his mouth speaks from that which fills his heart." Psalm 119:9-11 - "How can a young man keep his way pure? By keeping it according to Your word. With all my heart I have sought You; do not let me wander from Your commandments. Your word I have treasured in my heart, that I may not sin against You." Proverbs 4:23 - "Watch over your heart with all diligence, for from it flow the springs of life." When the circumstances demand - Ecclesiastes 3:1, 7 - "There is an appointed time for everything. And there is a time for every event under heaven ... A time to tear apart and a time to sew together; a time to be silent and a time to speak." In God's House - To show respect - Habakkuk 2:20 - "The Lord is in His holy temple. Let all the earth be silent before Him." In God's House - To listen - Ecclesiastes 5:1 - "Guard your steps as you go to the house of God and draw near to listen rather than to offer the sacrifice of fools; for they do not know they are doing evil." To guard your soul from troubles - Proverbs 21:23 - "He who guards his mouth and his tongue guards his soul from troubles." To avoid transgression - Proverbs 10:19 - "When there are many words, transgression is unavoidable, but he who restrains his lips is wise." When you are feeling angry - James 1:19 - "This you know, my beloved brethren. But everyone must be quick to hear, slow to speak and slow to anger." To be counted as wise - Proverbs 17:27-28 - "He who restrains his words has knowledge, and he who has a cool spirit is a man of understanding. Even a fool, when he keeps silent, is considered wise; when he closes his lips, he is considered prudent." To express sympathy - Job 2:11-13 - "Now when Job’s three friends heard of all this adversity that had come upon him, they came each one from his own place, Eliphaz the Temanite, Bildad the Shuhite and Zophar the Naamathite; and they made an appointment together to come to sympathize with him and comfort him. When they lifted up their eyes at a distance and did not recognize him, they raised their voices and wept. And each of them tore his robe and they threw dust over their heads toward the sky. Then they sat down on the ground with him for seven days and seven nights with no one speaking a word to him, for they saw that his pain was very great." Exodus 21:17 - "He who curses his father or his mother shall surely be put to death." Exodus 22:28 - "You shall not curse God, nor curse a ruler of your people." Psalm 109:17-18 - "He also loved cursing, so it came to him; and he did not delight in blessing, so it was far from him. But he clothed himself with cursing as with his garment, and it entered into his body like water and like oil into his bones." Matthew 5:37 - "But let your statement be, 'Yes, yes' or 'No, no'; anything beyond these is of evil." James 3:10 - "From the same mouth come both blessing and cursing. My brethren, these things ought not to be this way."